CBS announced today that James Corden, Emmy Award-winning host of THE LATE LATE SHOW with JAMES CORDEN, will host and serve as executive producer of THE WORLD’S BEST, a new global talent competition series from two of the most prolific unscripted producers in television, Mike Darnell and Mark Burnett. 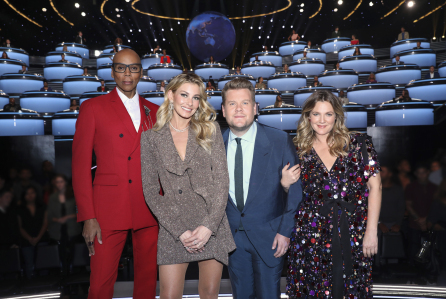 Golden Globe Award winner Drew Barrymore, multi- Emmy Award winner RuPaul Charles and multi-Grammy Award winner Faith Hill will serve as the three American judges. The 10-episode series will premiere in 2019 on CBS. From left to right: Rupaul Charles, Faith Hill, James Corden and Drew Barrymore, shown.